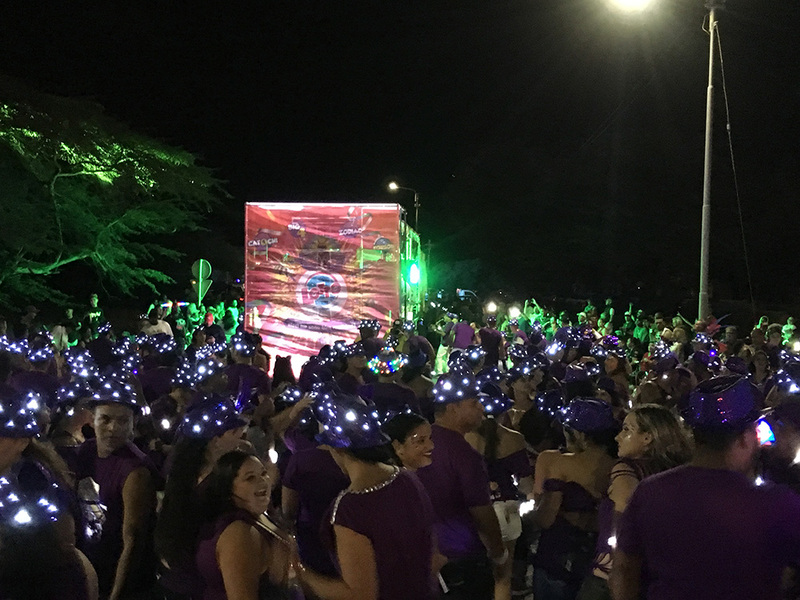 The first parade of the season was this past January 5, 2019 were Los Laga Bai participated again. It was our 6th participation in Aruba’s torch (fakkel) parade. Again we participated with a total of 700 participants and we debuted our brand new band trailer powered by High Performance. Most participants were positively surprised at the sight of this new band trailer. We also received a lot of positive feedback regarding the quality of the sound and lighting effects from High Performance. Carnival 65 has just begun and we are already very happy with how it started. We can barely wait for the highlight weekends of Lighting Parade and the grand parades.